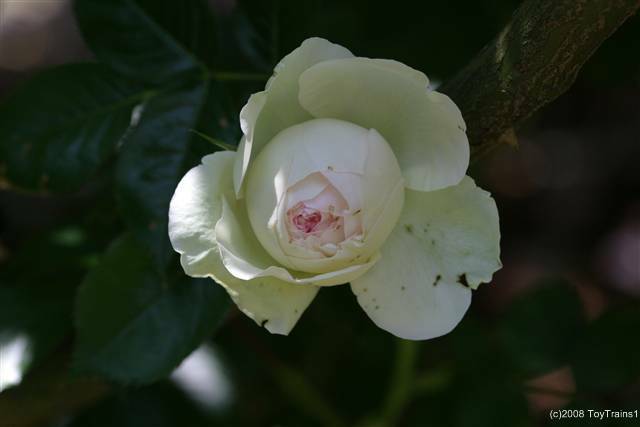 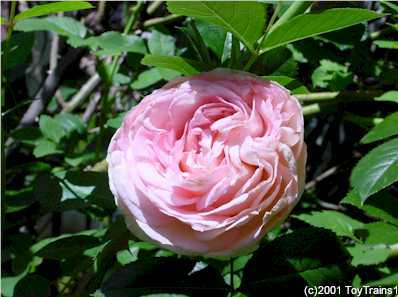 This is the large-flowered climber Pierre de Ronsard (also called Eden). 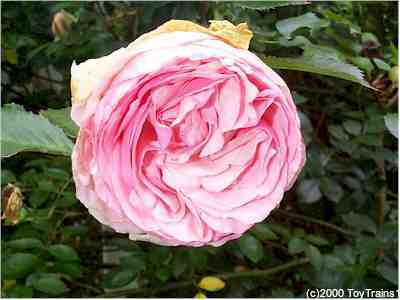 Note the appearance; it has many, many petals, and resembles a miniature head of cabbage as it opens. 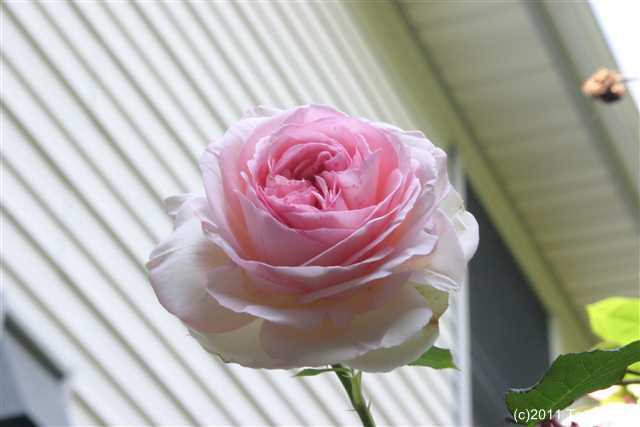 It is one of the few roses that I grow that has no fragrance; it makes up for it by having hundreds of blooms! 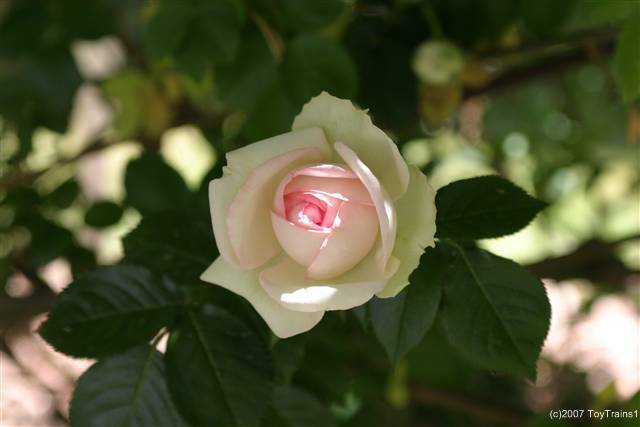 It seems that 1999 is Pierre de Ronsard's year. 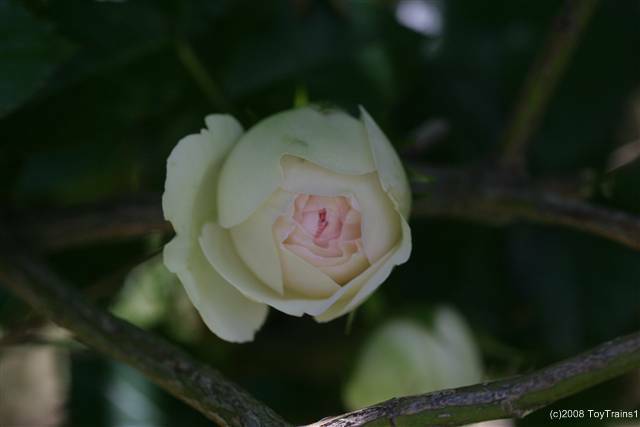 Not only are the hundreds of fat buds beginning to open, but for the first time they have a light rose fragrance! 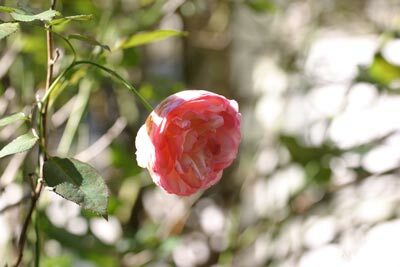 Here are the first few to open this year. 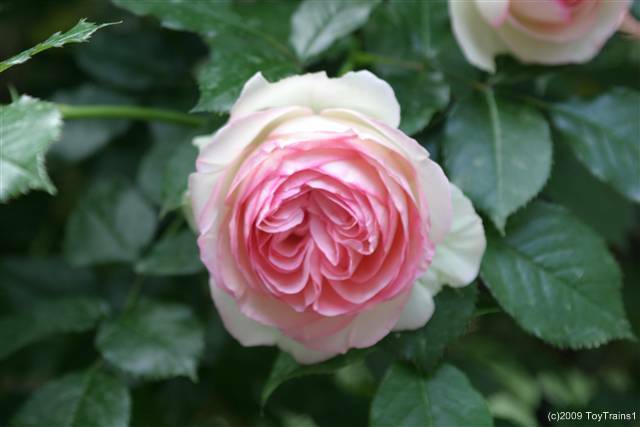 Pierre de Ronsard has begun its 2000 bloom during a time (late May) of cold and prolonged damp. 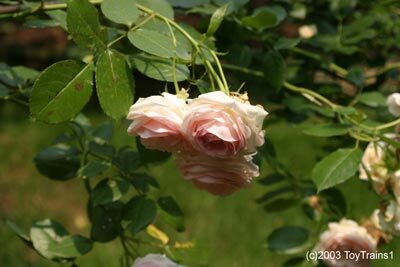 I'm concerned that the many fat buds may start to ball if the weather doesn't clear up soon. 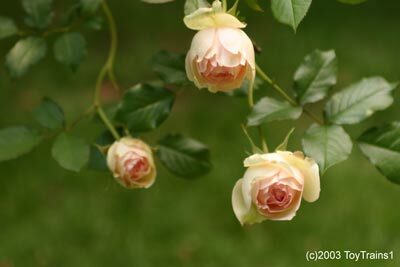 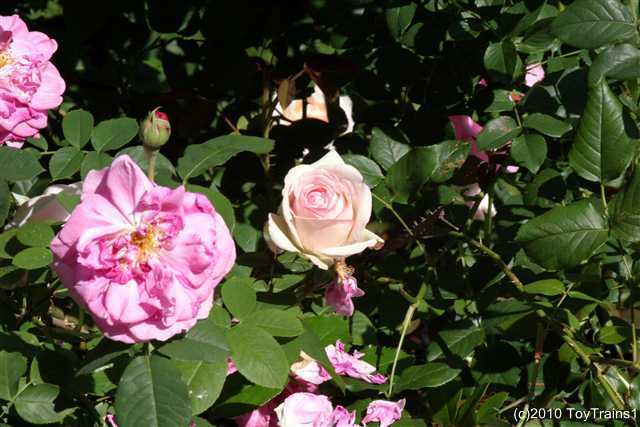 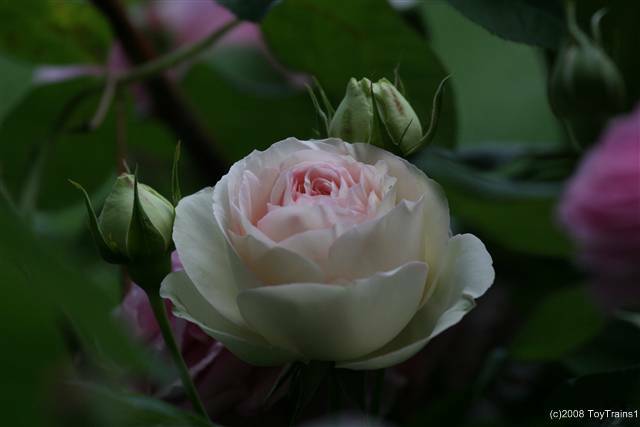 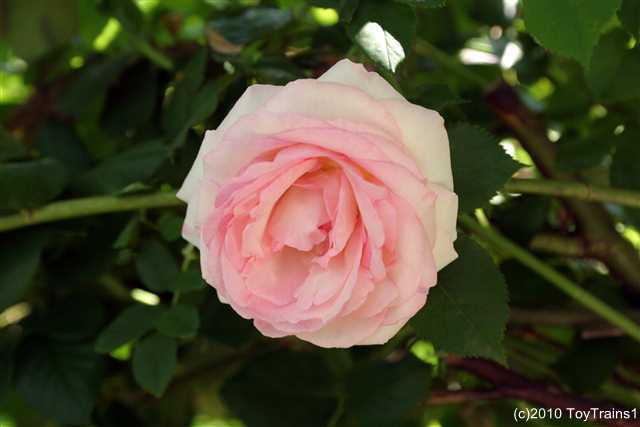 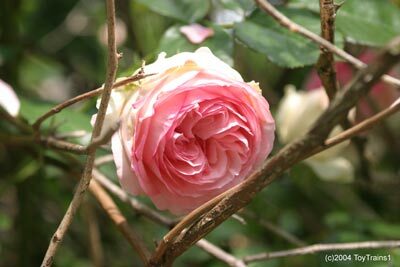 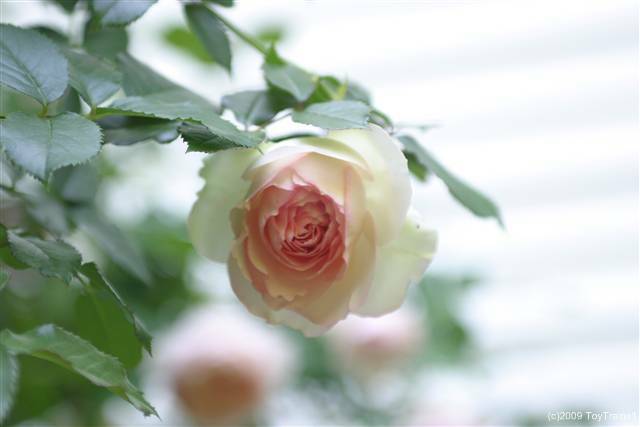 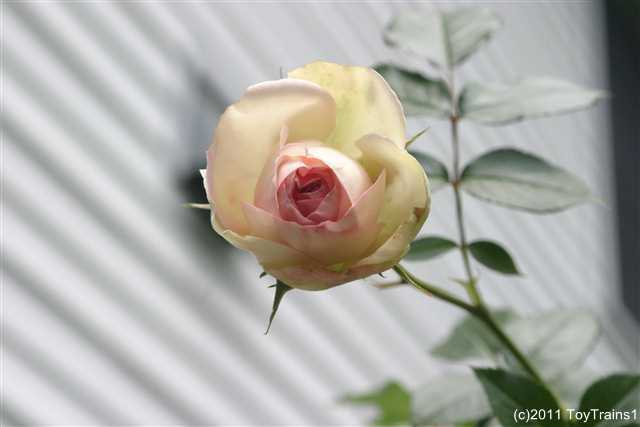 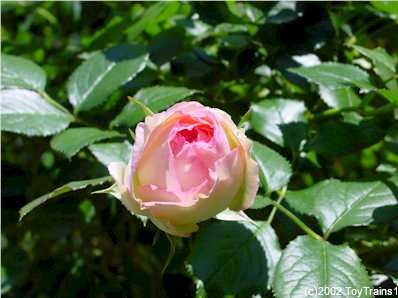 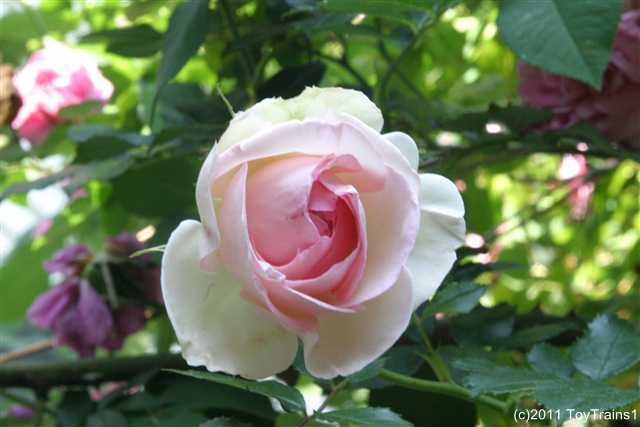 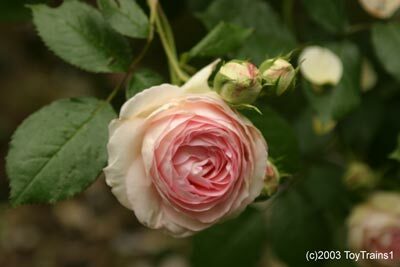 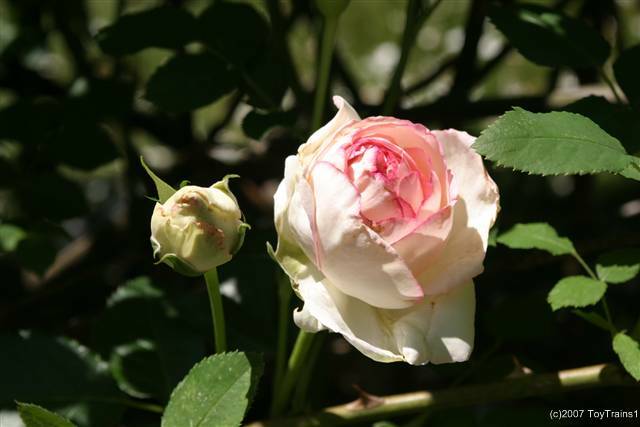 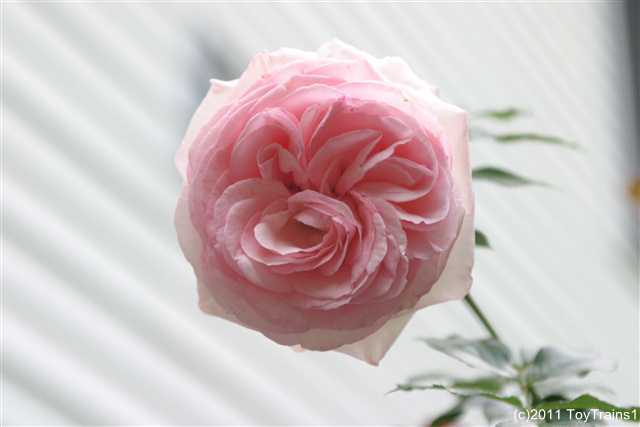 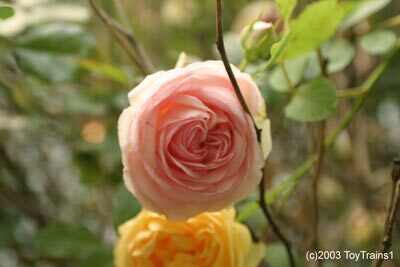 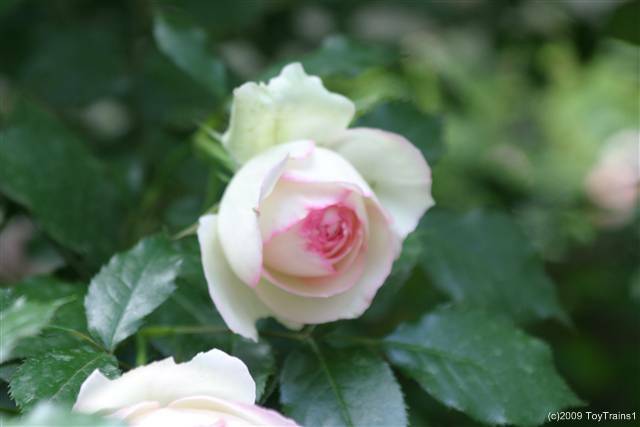 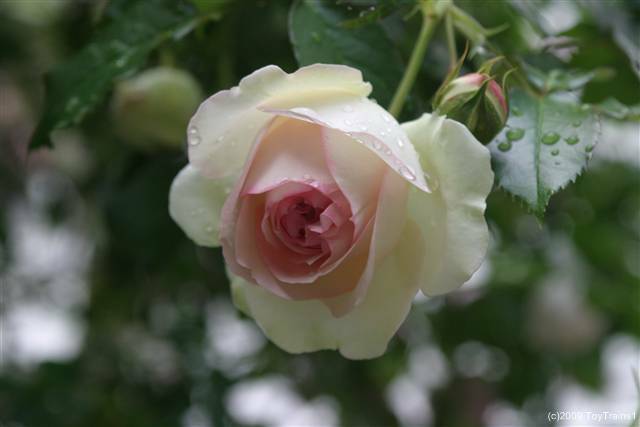 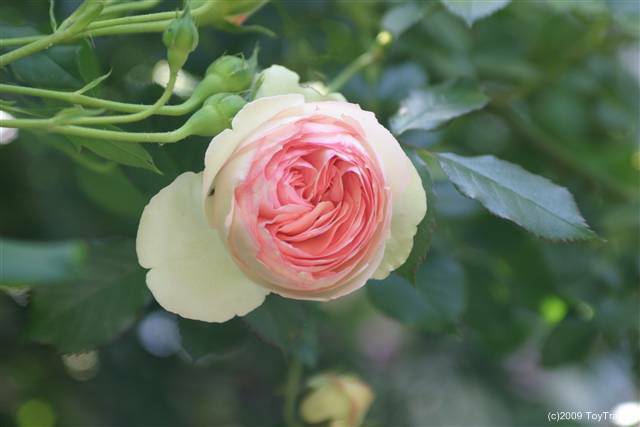 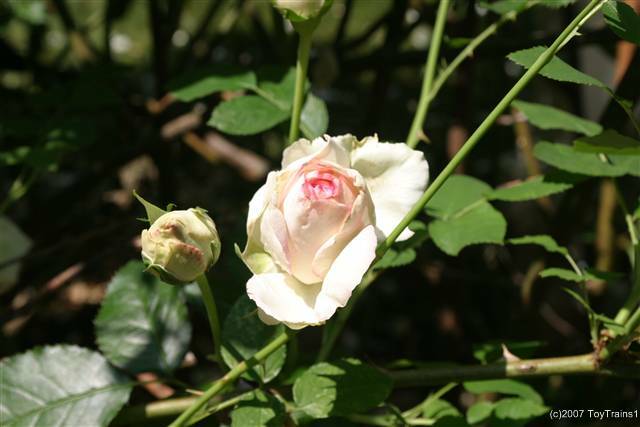 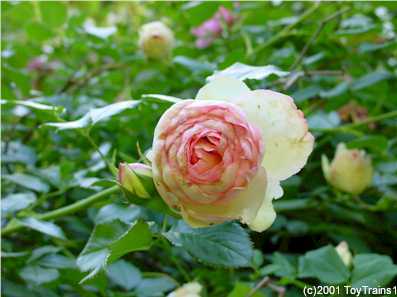 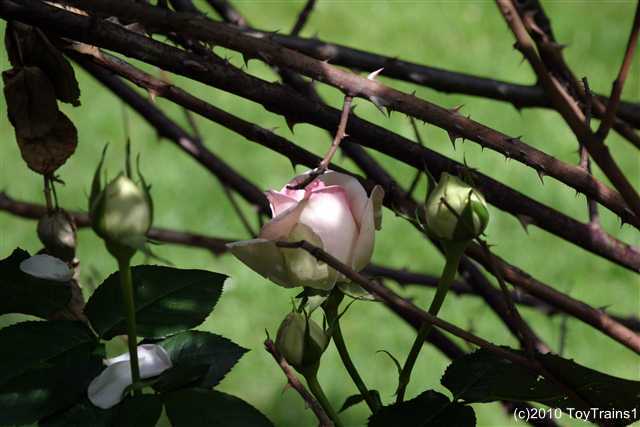 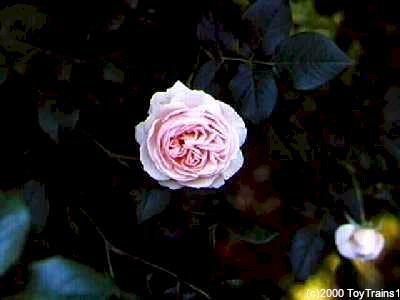 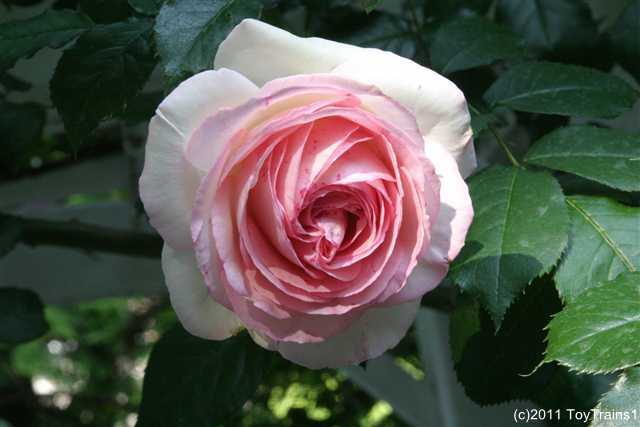 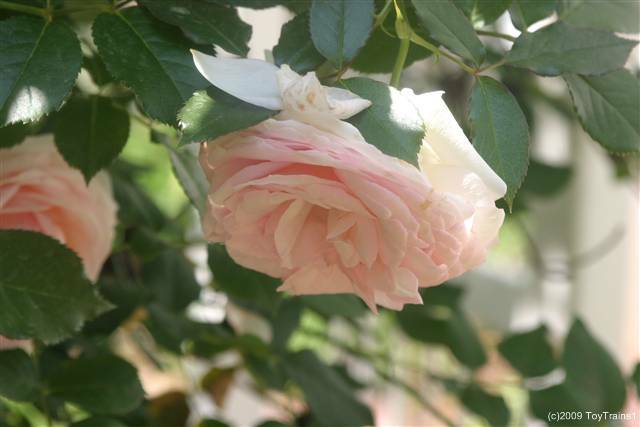 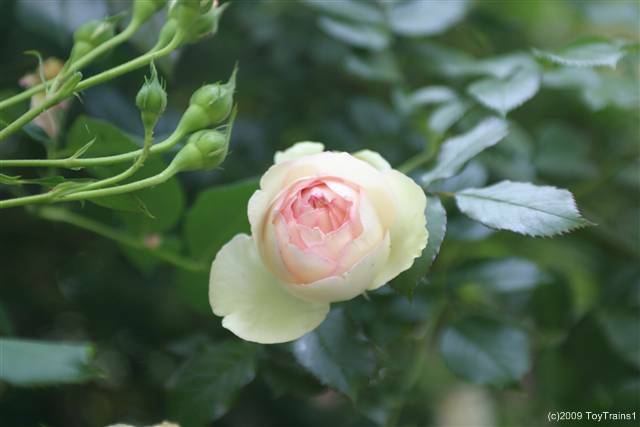 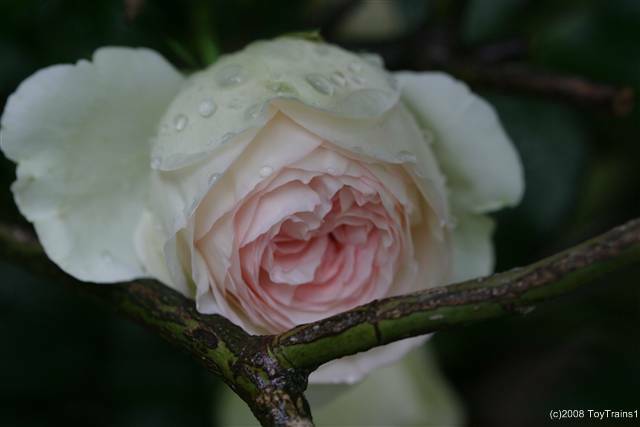 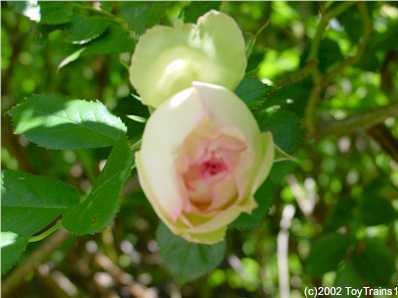 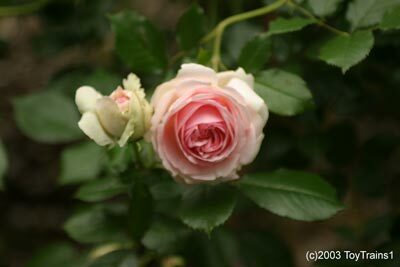 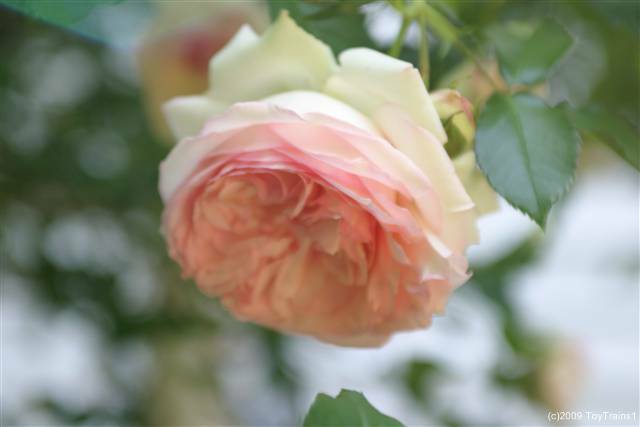 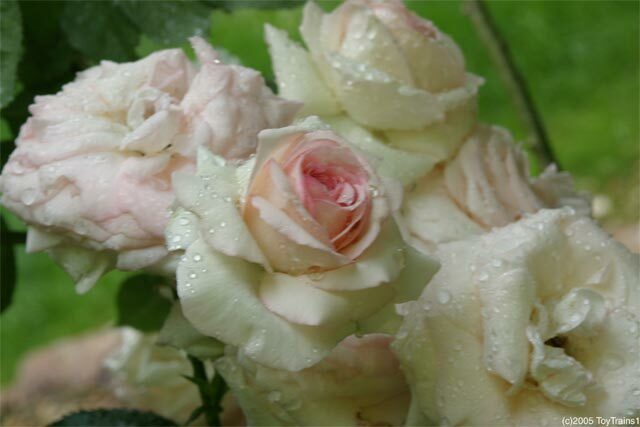 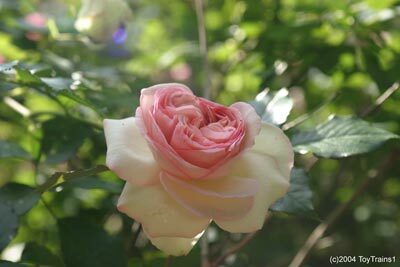 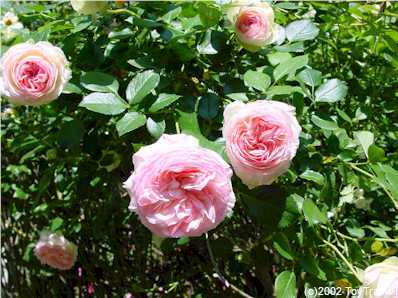 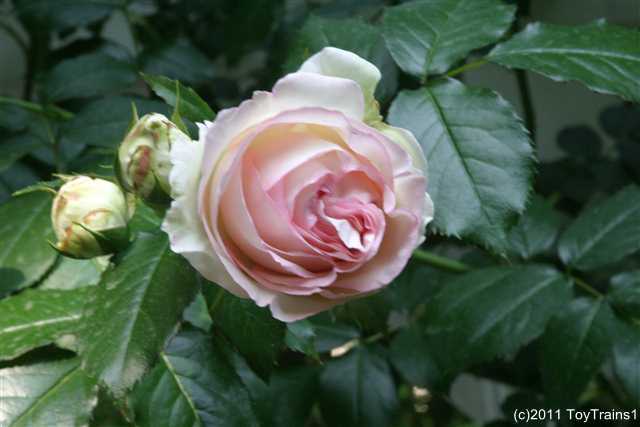 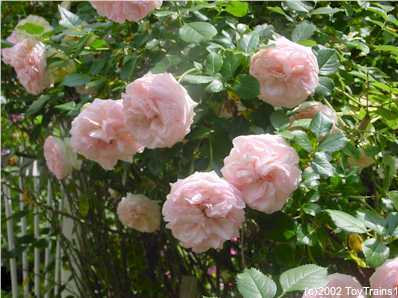 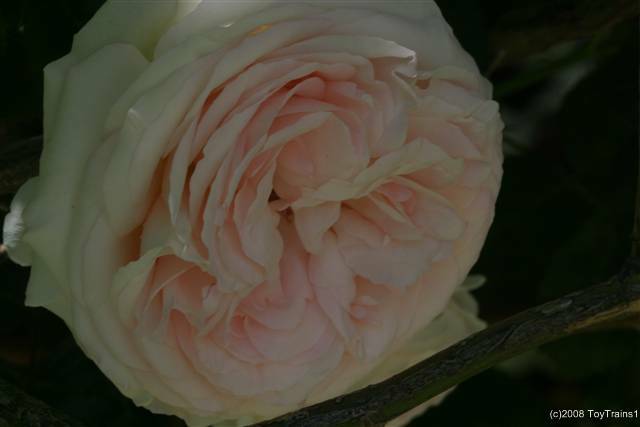 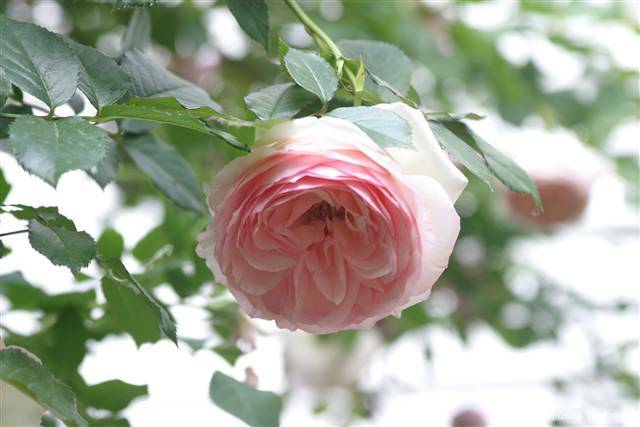 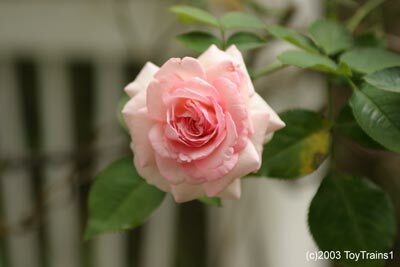 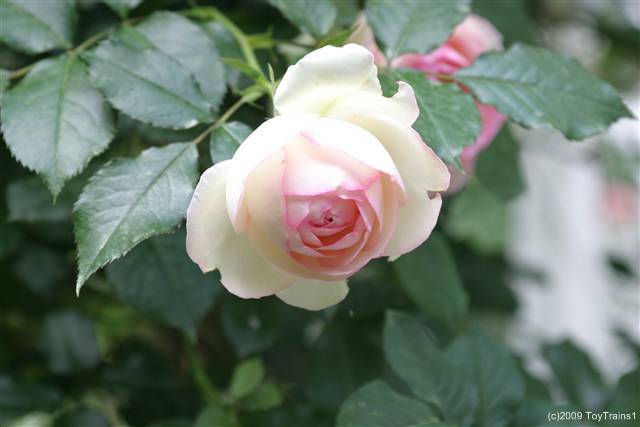 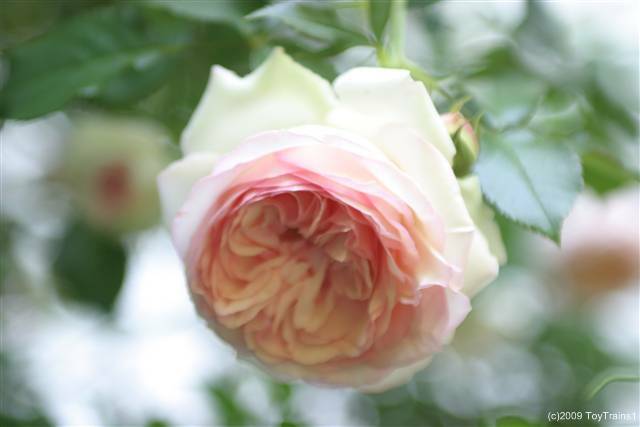 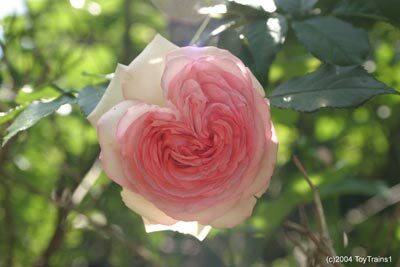 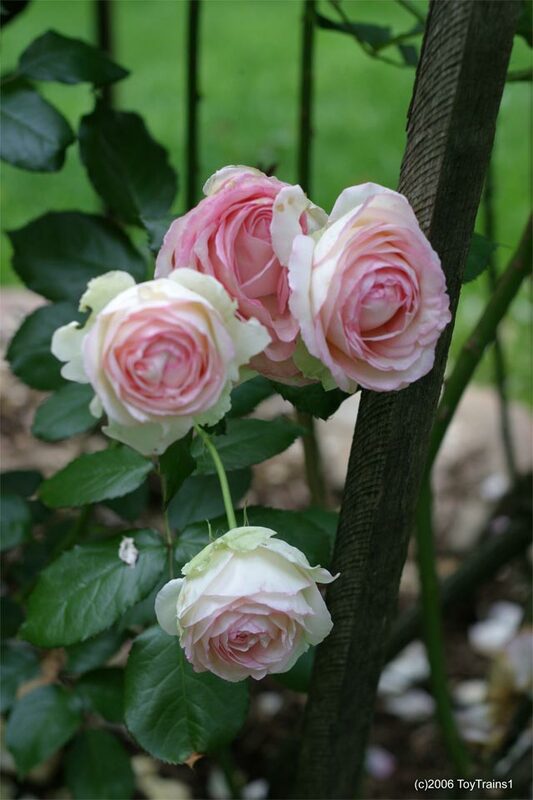 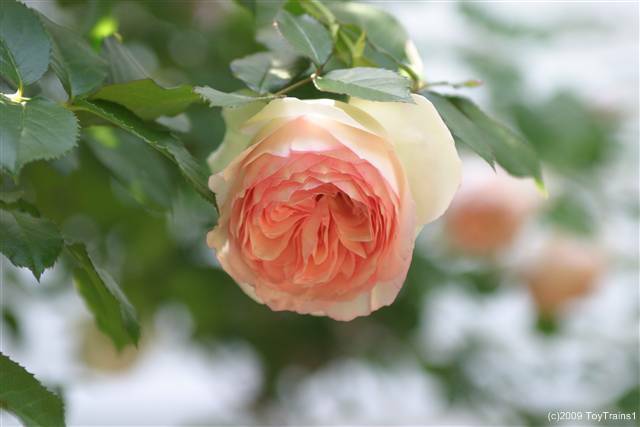 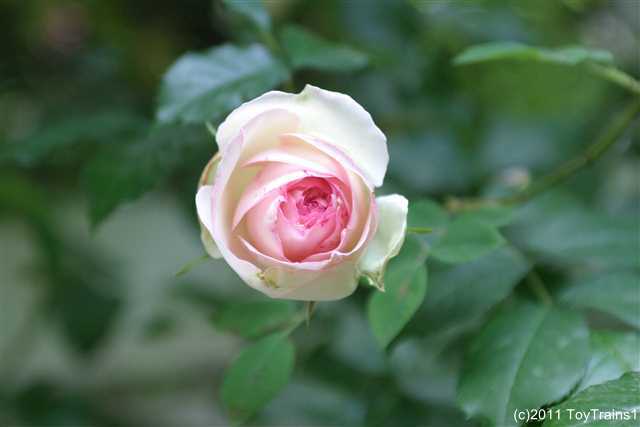 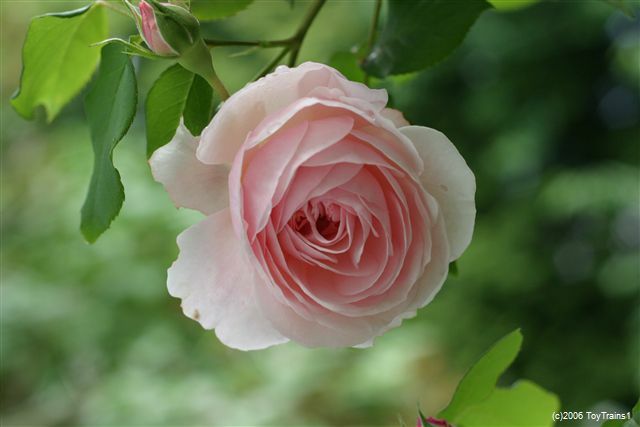 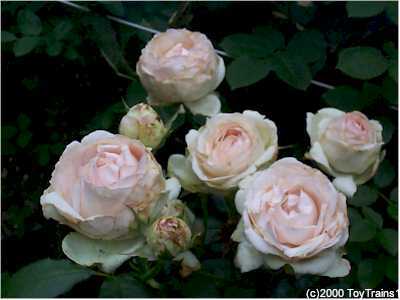 My concerns were without merit -- Pierre de Ronsard has opened it hundreds of buds with very little balling. 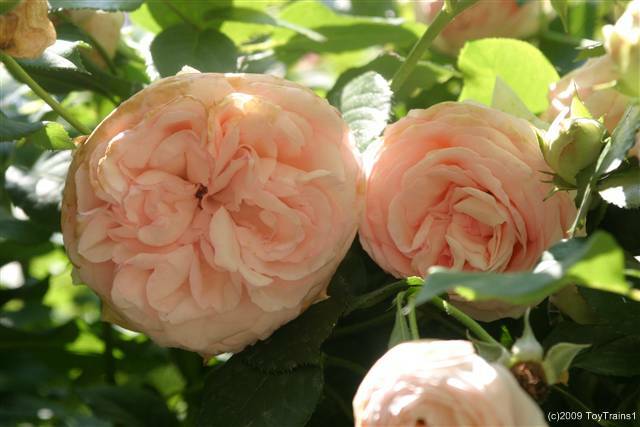 It's now late June, and Pierre de Ronsard is finishing off its first flush -- this is the last cluster of blooms. 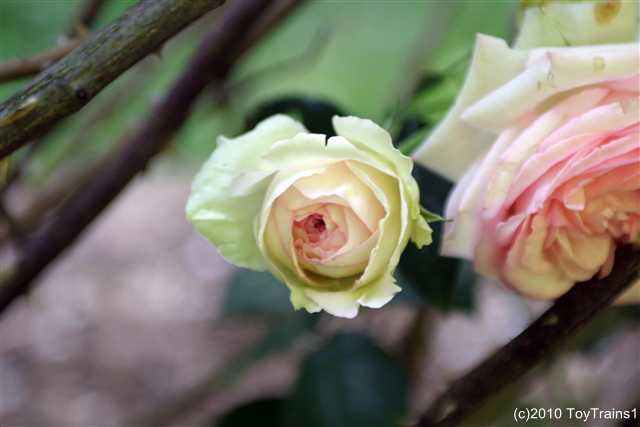 It's the last day of May, 2001, and Pierre de Ronsard has begun to open its cabbage-shaped buds. 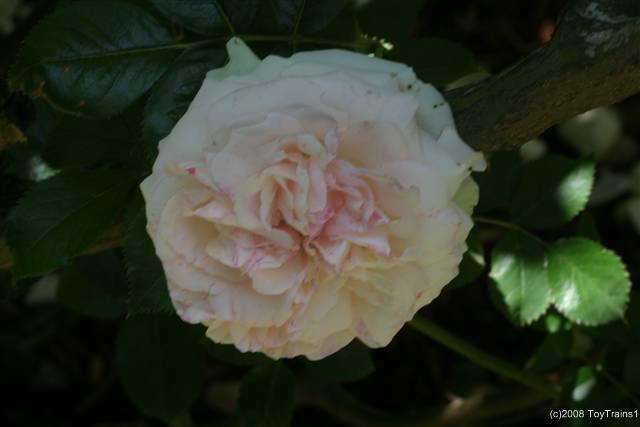 It's the middle of May, 2002, and the very fat buds of Pierre de Ronsard have started to open. 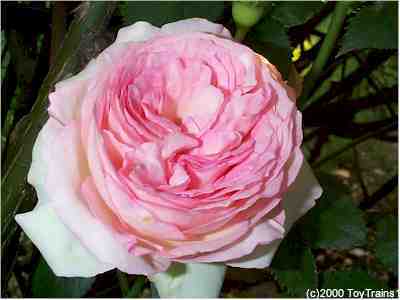 Pierre de Ronsard is nothing if not floriferous! 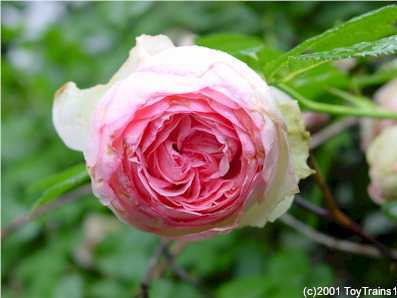 Pierre de Ronsard has begun to open up its large cabbage-head blooms, early June, 2003. 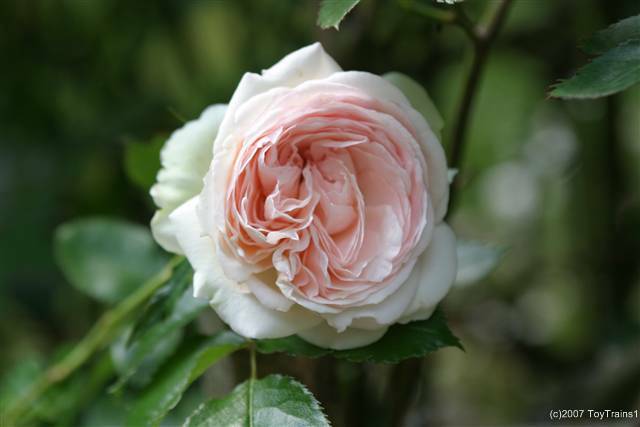 Pierre de Ronsard is not very remontant, but this year we have several new blooms at the end of July. 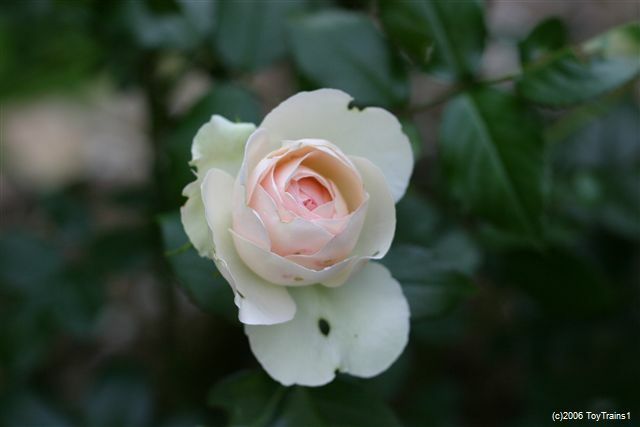 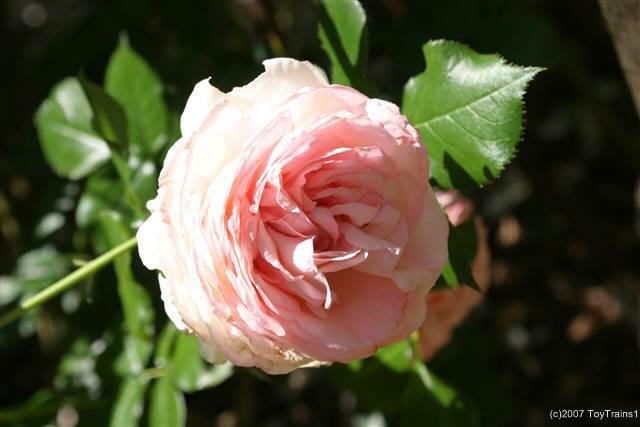 Pierre de Ronsard has begun to bloom in late May 2004. 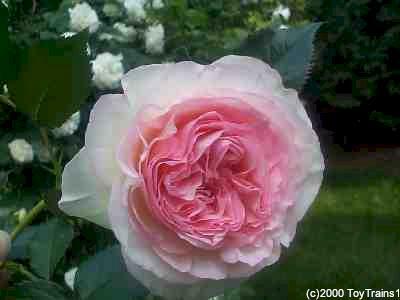 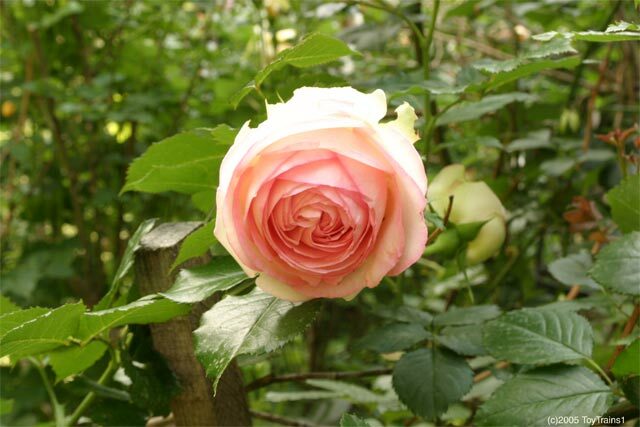 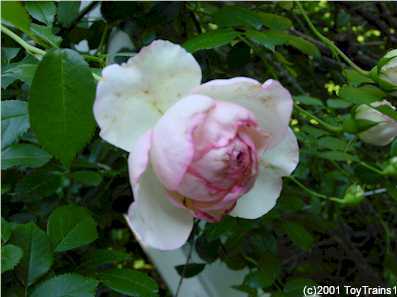 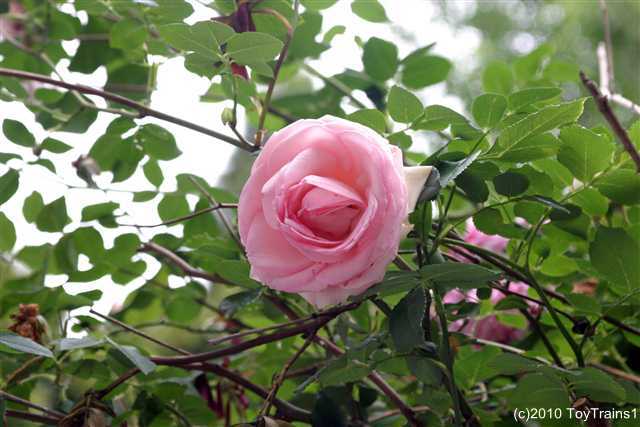 Pierre de Ronsard, my only remaining climber, had most of its old growth killed by the horrible winter of 2004-2005. 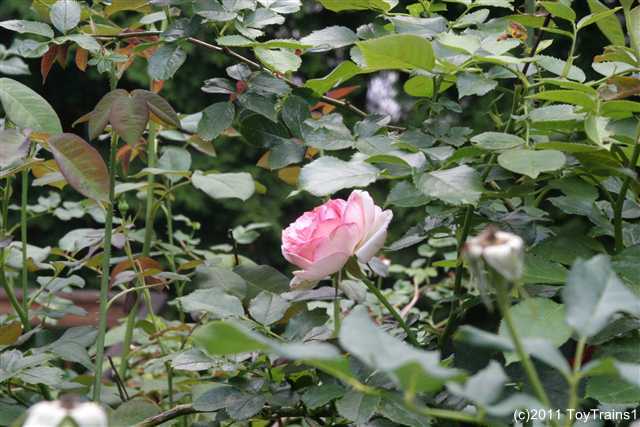 It's started afresh from its roots and is doing quite well, all things considered. 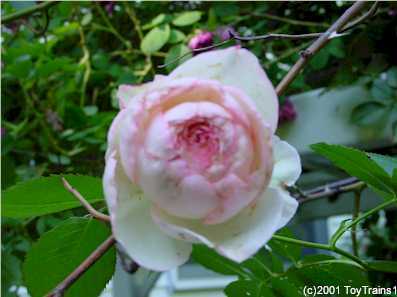 It's now early June 2005 and it's begun to bloom. 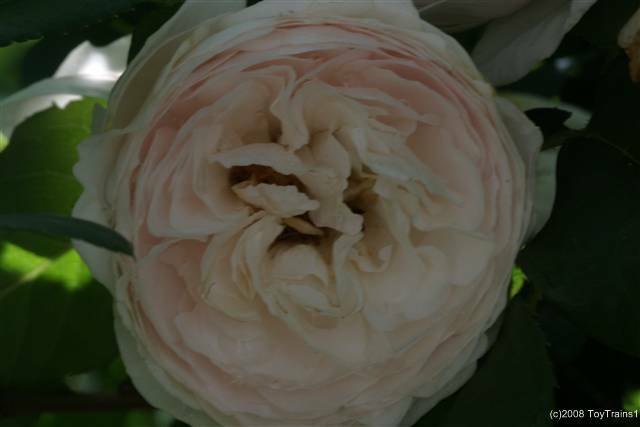 It's Memorial Day weekend 2006 and Pierre de Ronsard has begun to open its little heads of cabbage! 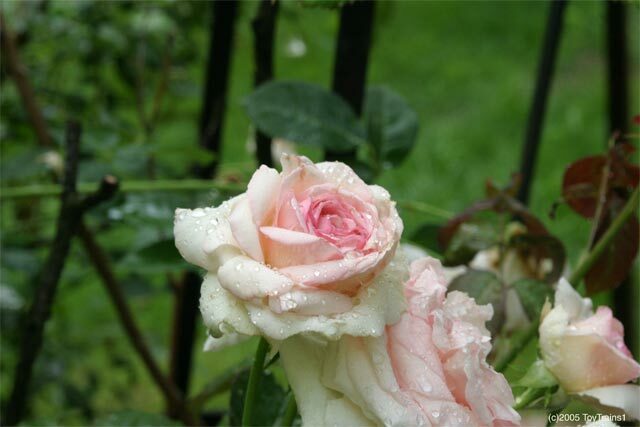 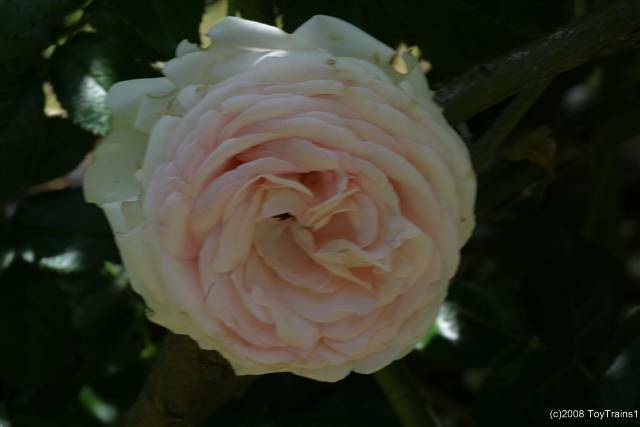 After the heavy rains we've had in early June, I expected Pierre de Ronsard to be a mess as it tends to ball in bad weather. 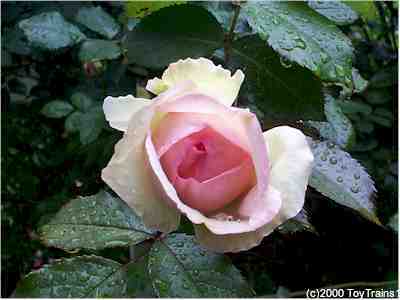 To my surprise, instead of finding those sad balled-up buds, I found this. 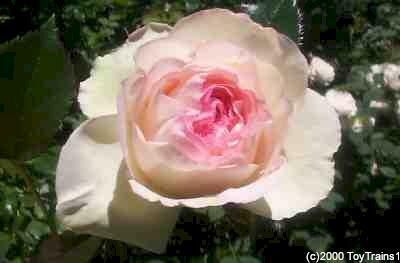 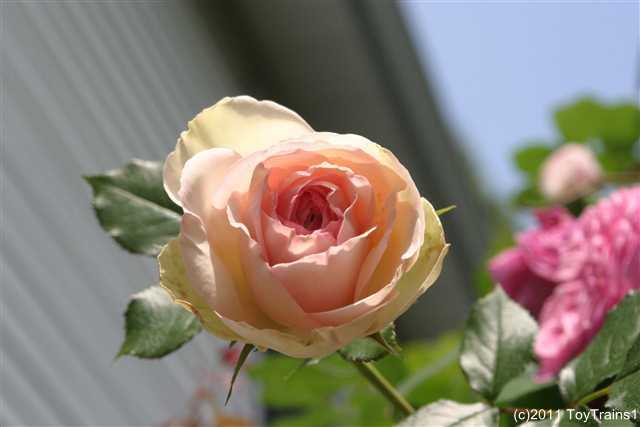 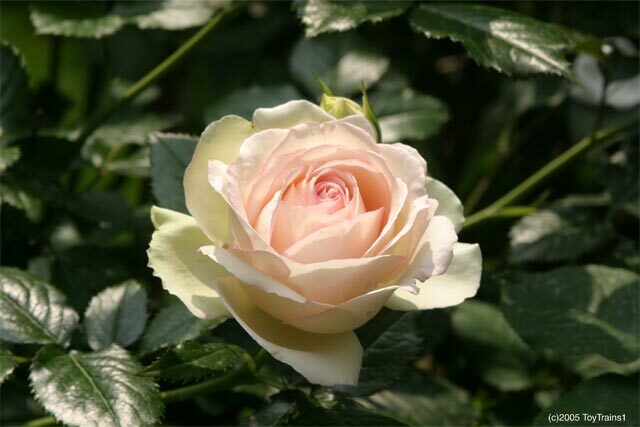 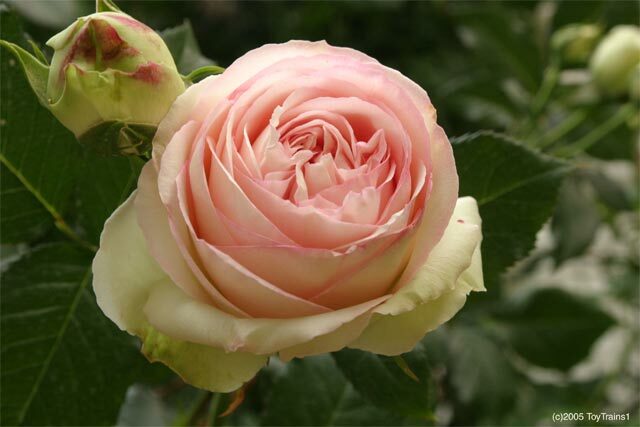 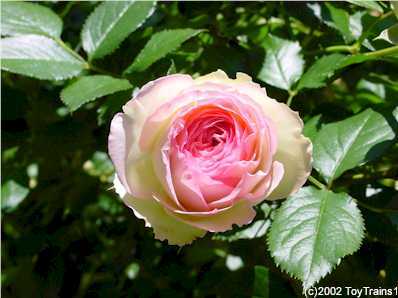 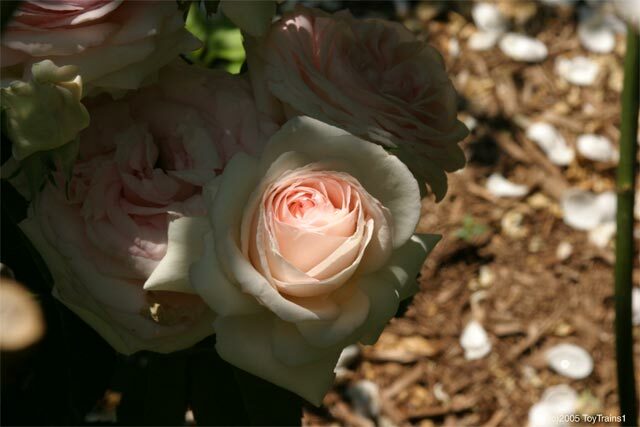 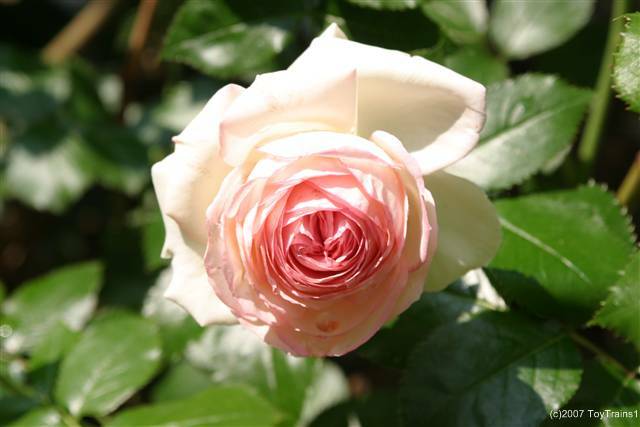 Memorial Day 2007 brings the bloom of Pierre de Ronsard. 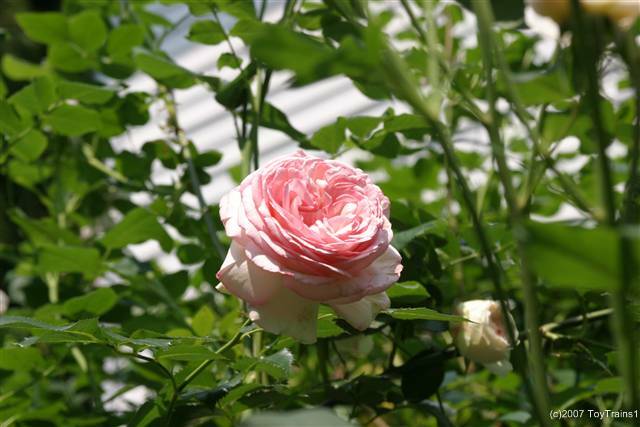 Pierre de Ronsard was a little slow getting started in 2008, but here it is in bloom at the beginning of June. 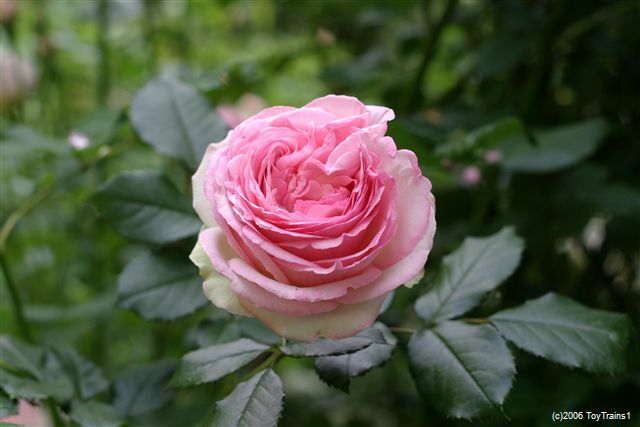 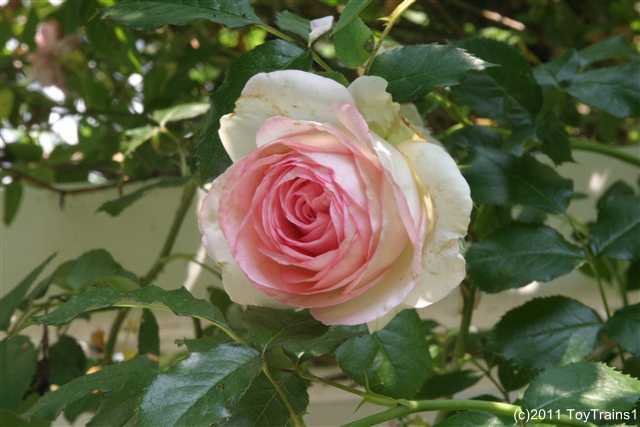 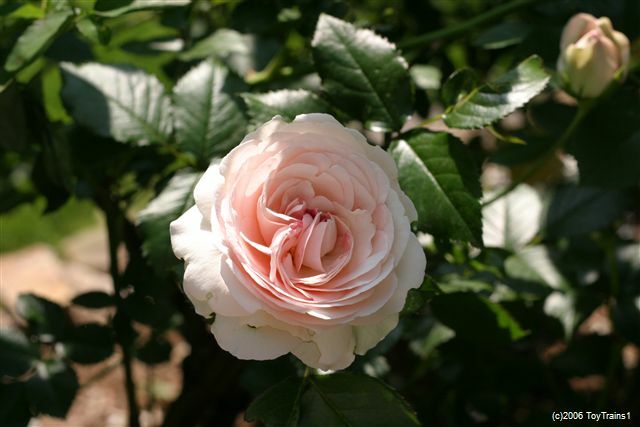 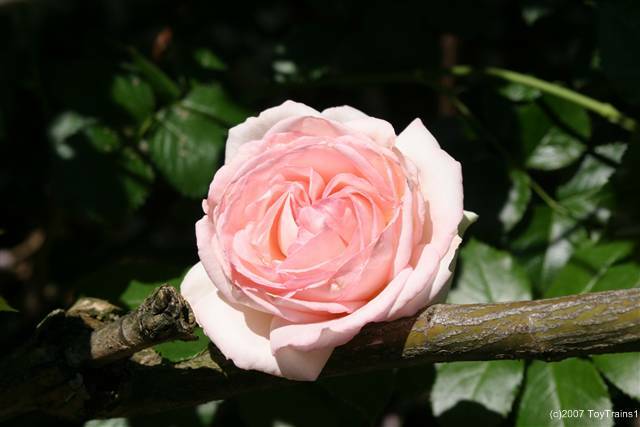 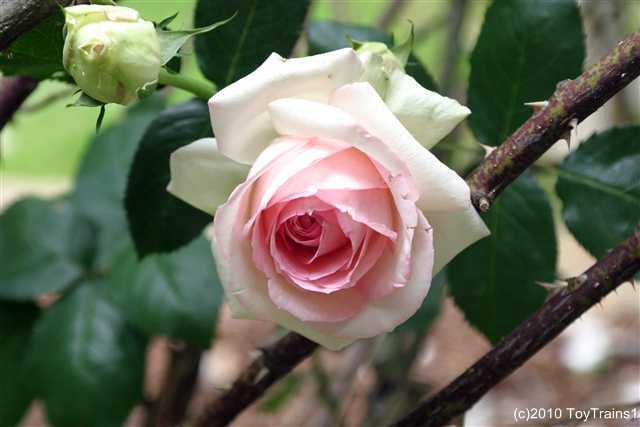 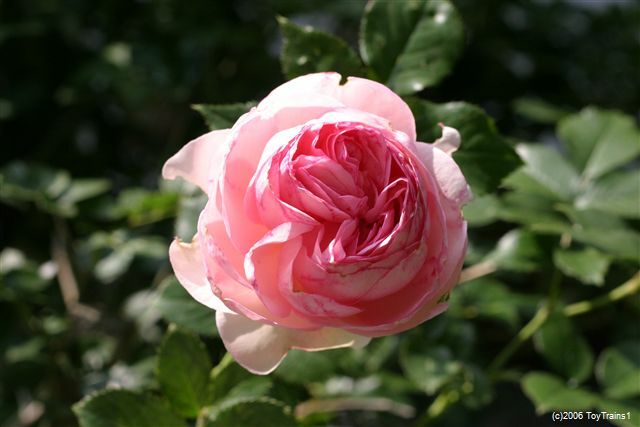 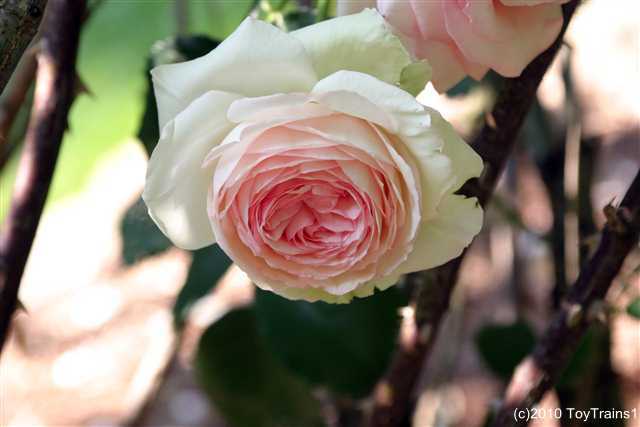 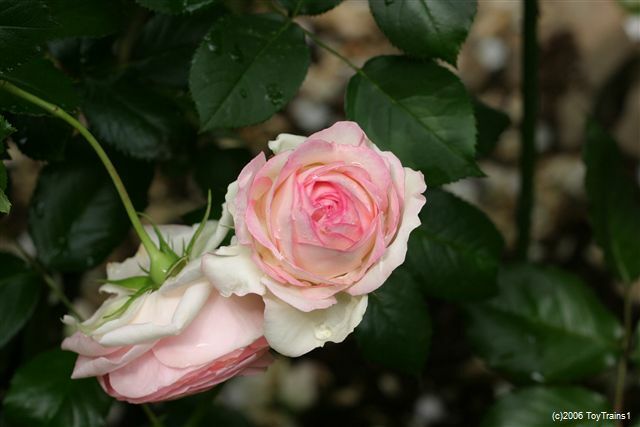 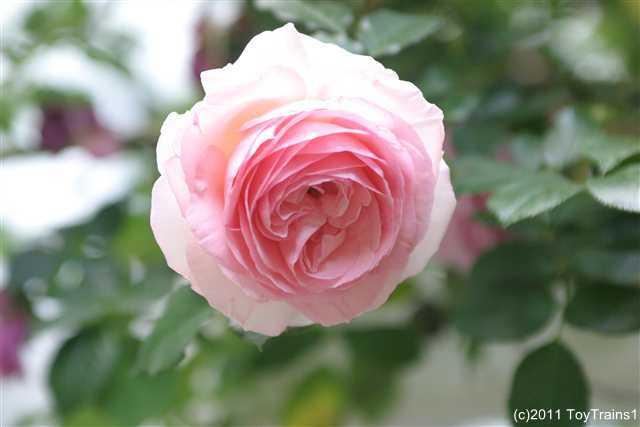 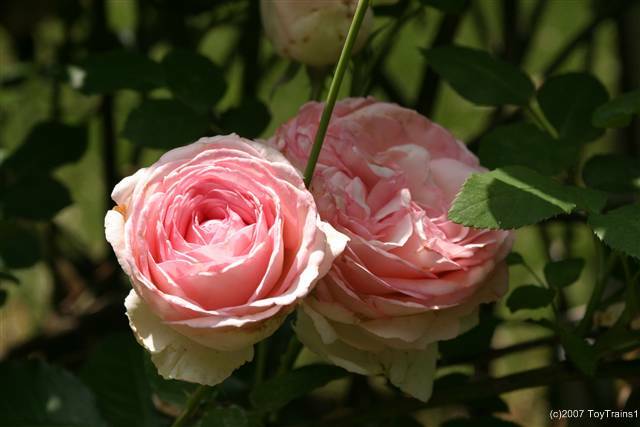 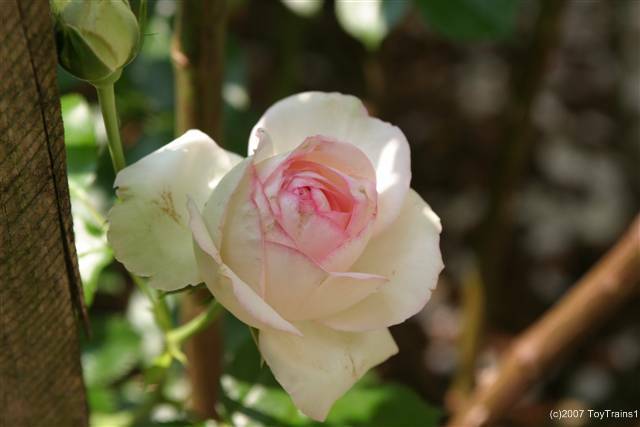 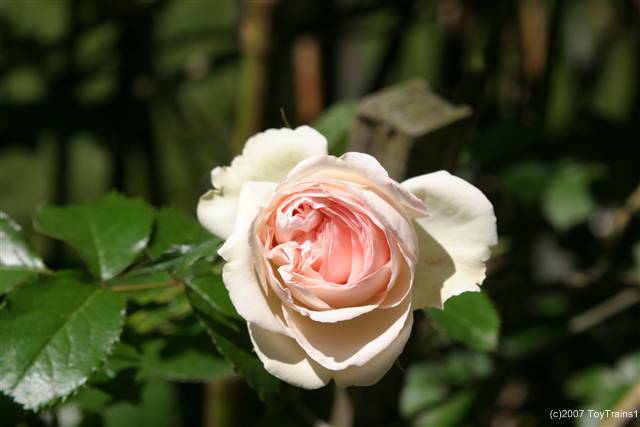 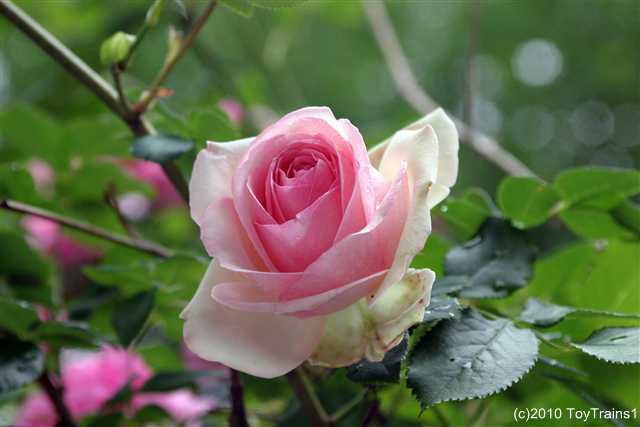 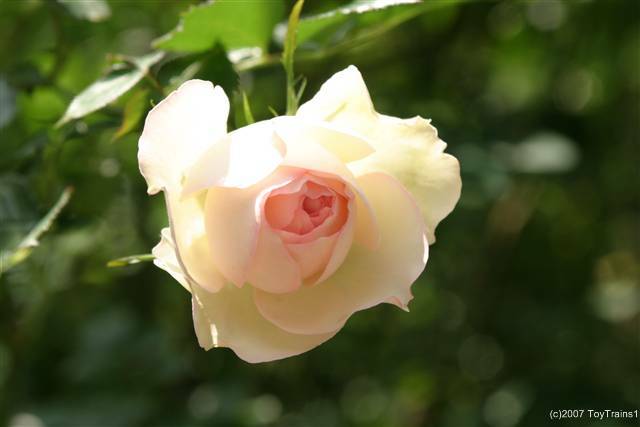 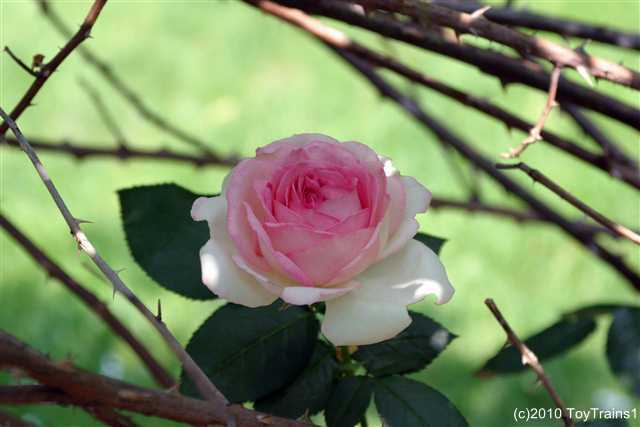 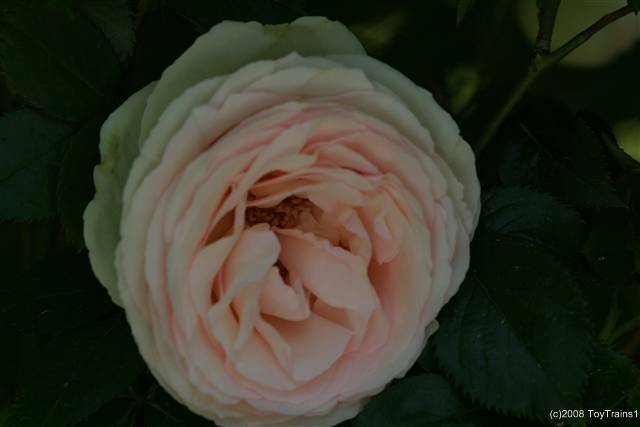 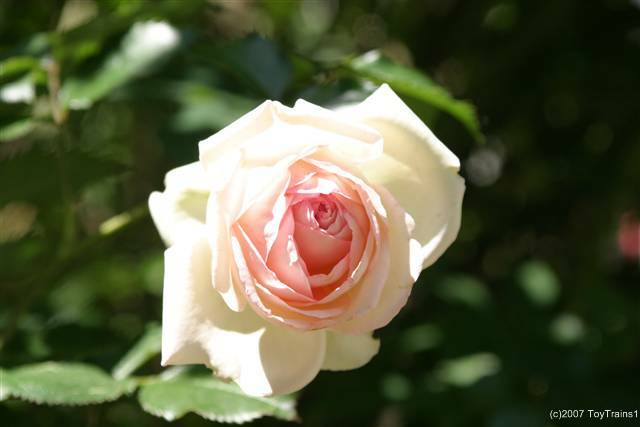 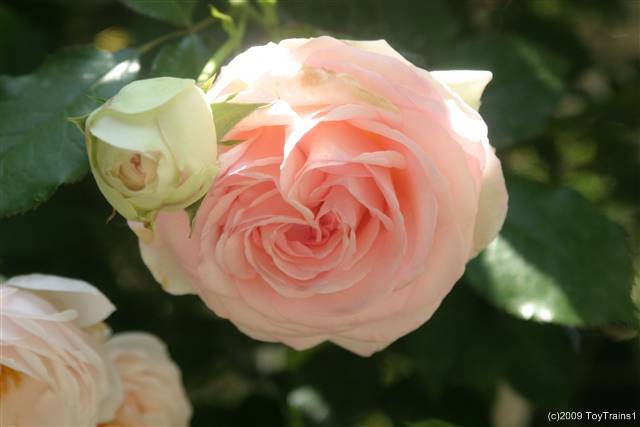 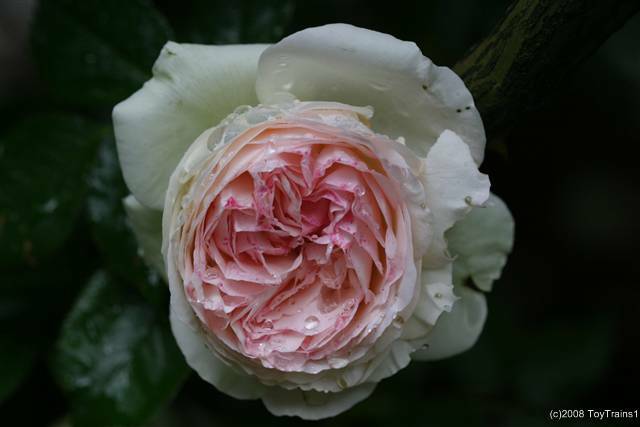 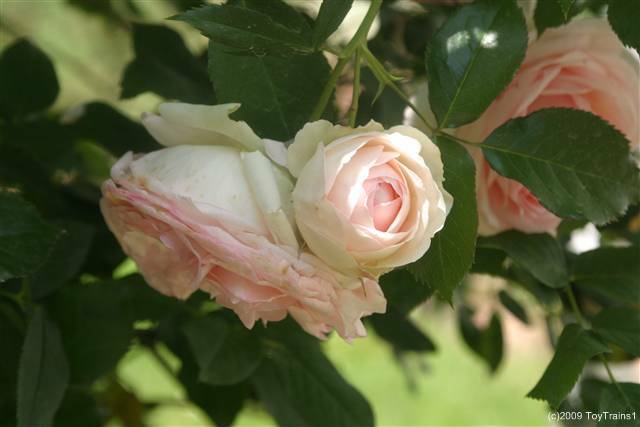 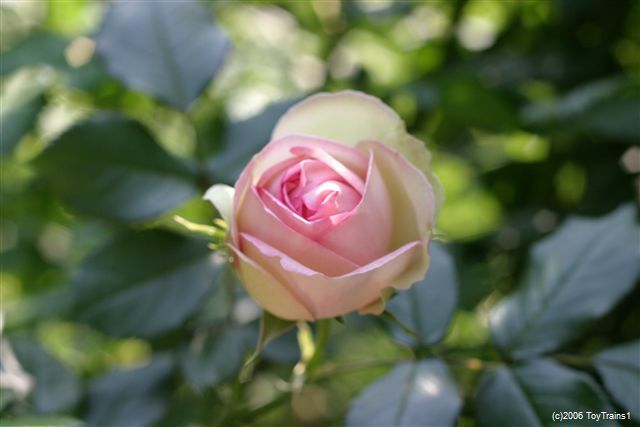 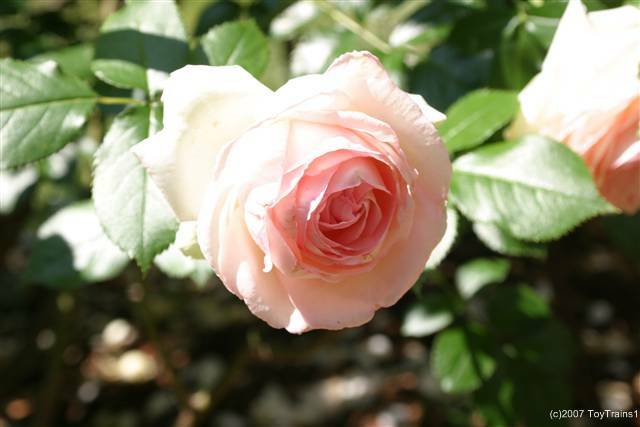 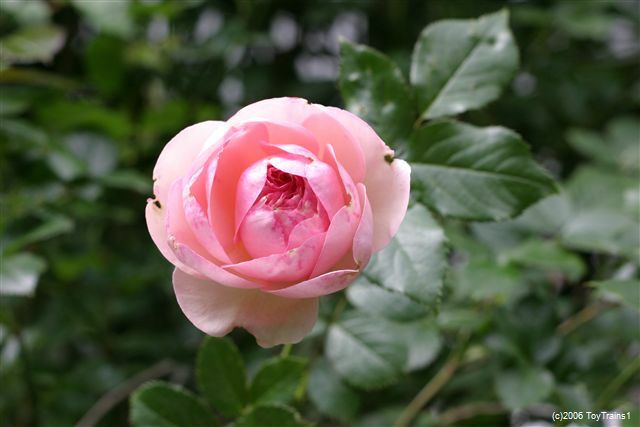 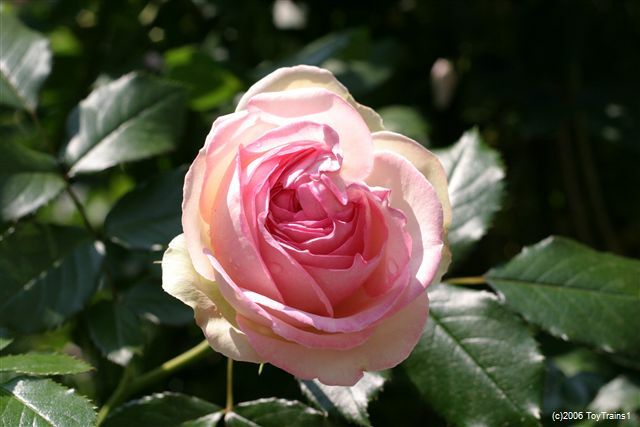 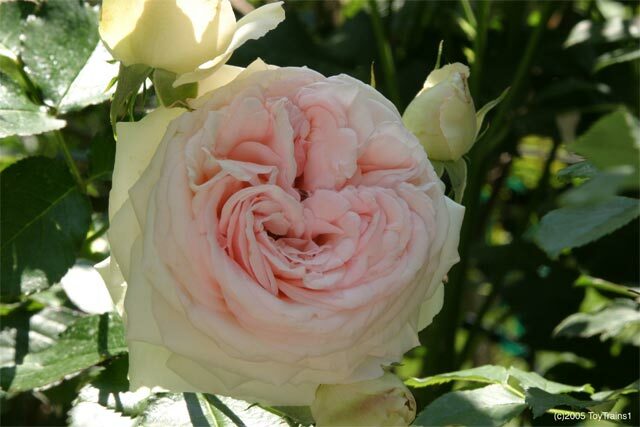 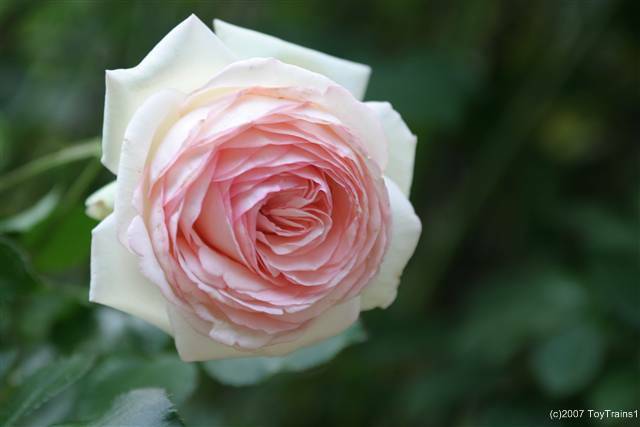 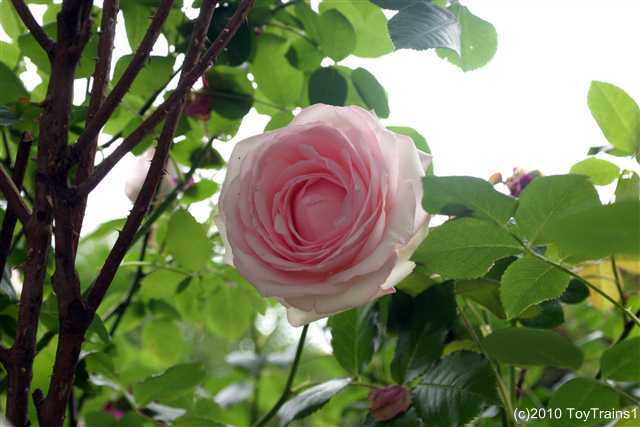 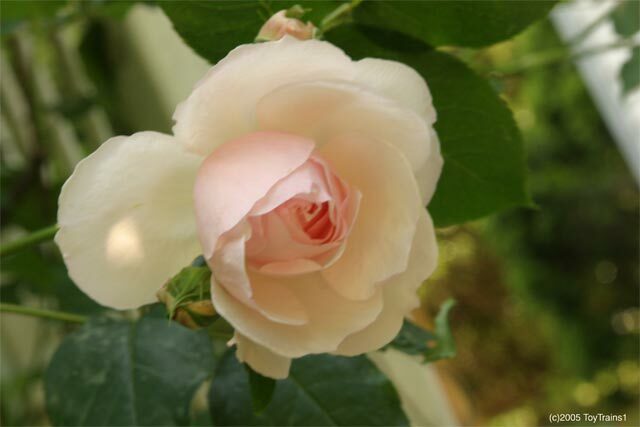 The end of May 2009 brings the first bloom of Pierre de Ronsard. 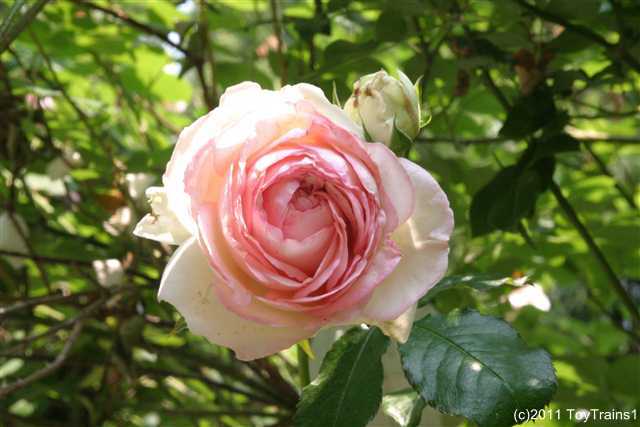 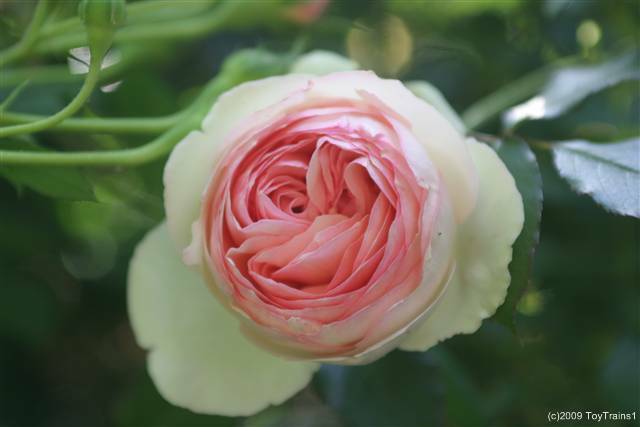 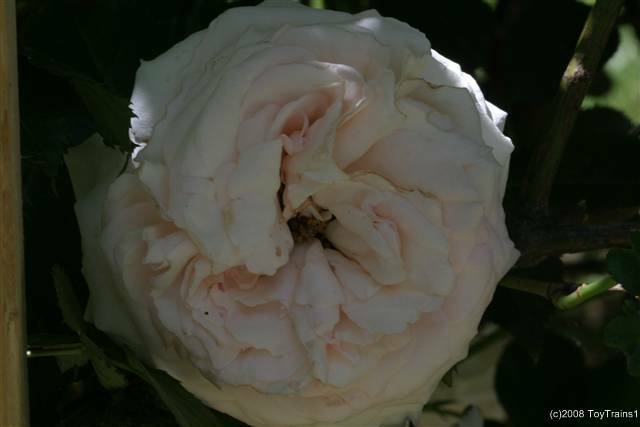 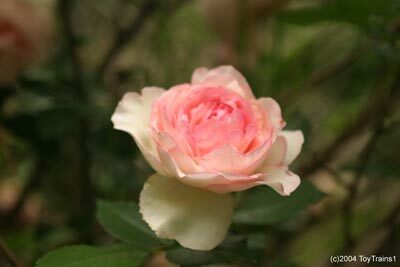 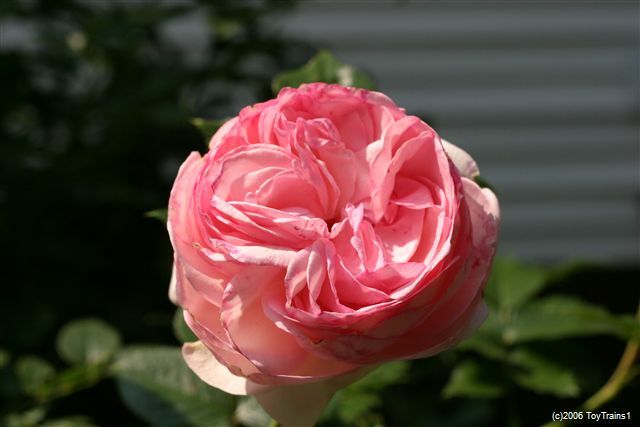 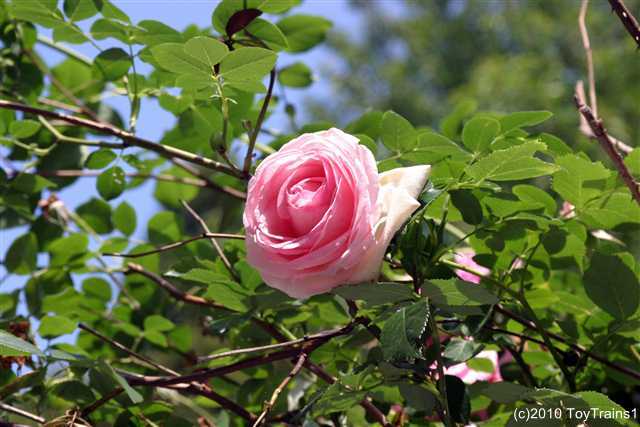 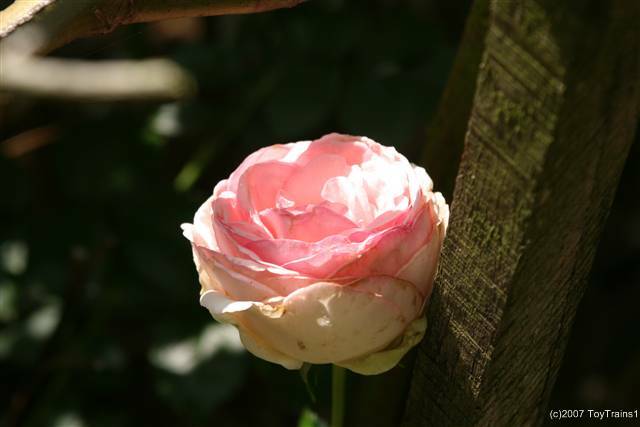 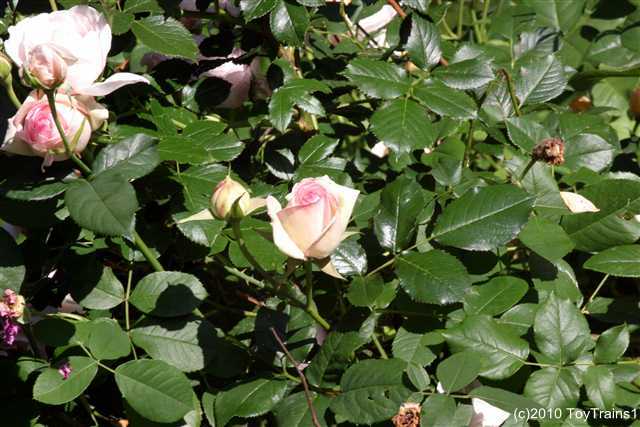 We're getting toward the end of May 2010 and Pierre de Ronsard has put out its first bloom. 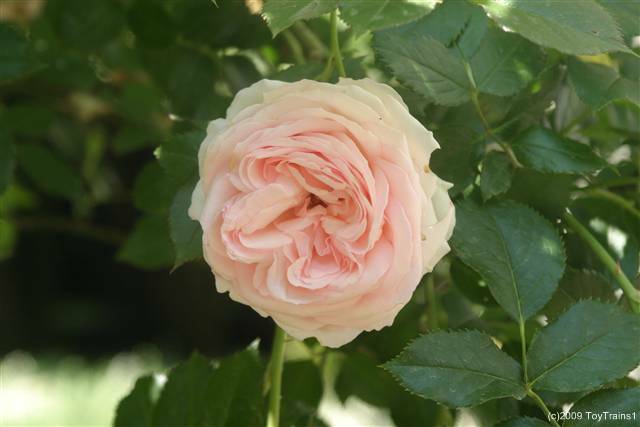 Pierre de Ronsard has begun to bloom in late May 2011. 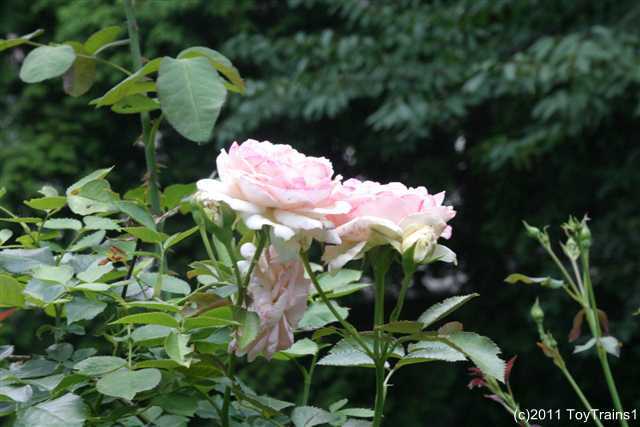 Pierre de Ronsard doesn't usually rebloom, but I saw these on the fourth of July weekend and had to get the photos. 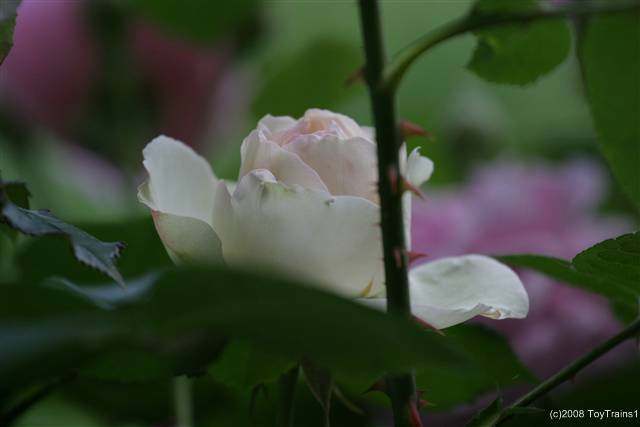 They're about ten feet up over the arbor and I had to haul out the ladder! 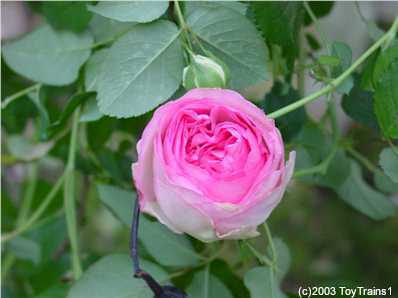 I must be crazy!